It is Halloween weekend, and there will be ghosts and goblins everywhere in the DMV including a spooky tour of Georgetown, on the screen at the AFI Silver, roaming the National Zoo and haunting Tudor Place, Glen Echo Park, the National Museum of the American Indian, Mount Vernon and other places. Of course, most bars will be filled with ghouls too. 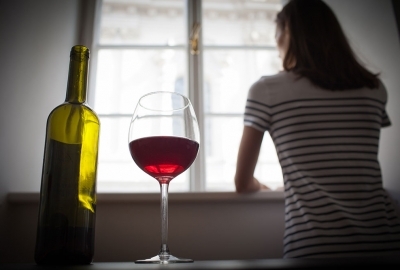 But there are other events, like the Washington International Horse Show, the Smithsonian’s Food History Festival and the 41th annual Marine Corps Marathon. The real horror will be on Metro’s Red Line, with SafeTrack Surge 10 beginning Saturday morning and shutting down service between NoMa-Gallaudet University and Fort Totten through Nov. 22. Buses will replace trains between the two stations with trains running every 12-15 minutes between Shady Grove and NoMa-Gallaudet and every 15 minutes between Fort Totten and Glenmont. The Blue Line single tracks between Stadium-Armory and Addison Road on Friday night and Saturday, although trains will run on are regular schedule. On Sunday, the Arlington Cemetery station will not open until 9 a.m., after the Marine Corps Marathon is underway. Orange, Yellow and Green Line trains will operate on a regular weekend schedule. 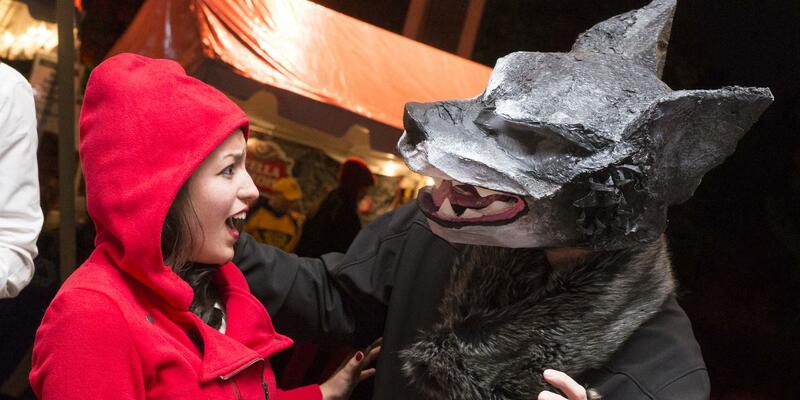 The National Zoo’s 21-and-over complement to Boo at the Zoo, Night of the Living Zoo transforms the animal haven into a devil’s playground. You will have after-hours access to numerous zoo attractions while enjoying live entertainment, including frightfully amazing oddities and the annual costume contest. Enjoy grub from local food trucks and craft brews, and enter the event’s Day of the Dead Alter Contest for a chance to win special prizes. Oct. 28 from 6:30-10 p.m. at the Smithsonian National Zoo, 3001 Connecticut Ave. NW. Tickets are $20 for Friends of the National Zoo members and $30 for non-members. Glen Sank competes at the Washington International Horse Show on Loyalty earlier this week at the Verizon Center. Some of the world’s best horses and equestrians will call the Verizon Center home this weekend. The Washington International Horse Show has been one of the District’s biggest sporting events for over 50 years, and for good reason. 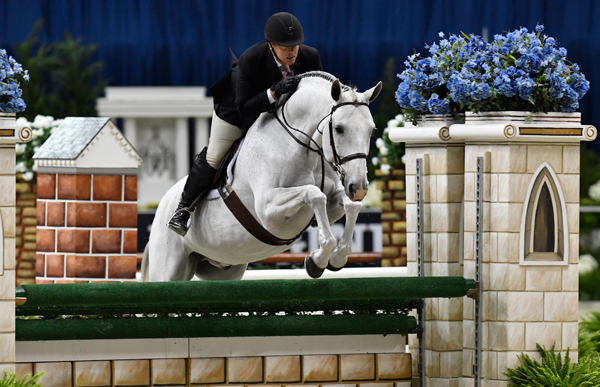 More than 500 competitors, including current stars and Olympic veterans, will show off their skills at the leading metropolitan indoor horse show in the U.S. There is plenty at stake, including $130,000 in the Longines FEI World Cup Jumping. Through Oct. 30 from 7 a.m.-5 p.m. and 7-10:30 p.m. at the Verizon Center, 601 F St. NW. Admission is $15 for daytime adult tickets and children 12 and younger are FREE. Evening admission is $20-$60 for adults and $10-$50 for children. 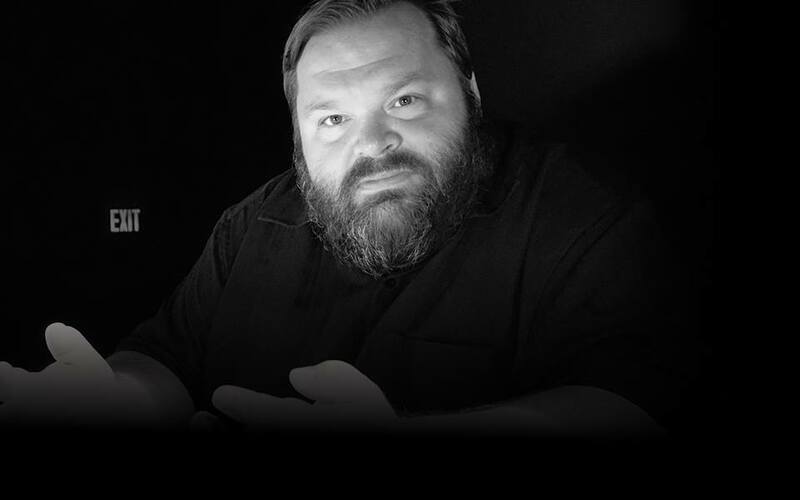 Mike Daisey (above) tells the tale of Donald Trump from his days as a rich youngster to his days as a very famous, very rich man in The Trump Card at Woolley Mammoth Theatre. It is election season, so why not head to the Woolly Mammoth Theatre to see what makes Republican candidate Donald Trump tick in The Trump Card? Okay, this one-man show, created and performed by Mike Daisey, gets a little deeper, and way funnier, than that. Daisey tells the tale of Trump from his days as a rich youngster to his days as a very famous, very rich man. He tells Trump’s story from his earliest days, tracking him as he makes himself into a new American archetype – the very first rich man famous exclusively for being rich – right up to the present moment and incorporates the last two months of the Presidential campaign…. For all their ugliness and acrimony. The performance also delves into the state of the American Dream, and if it still exists. Returning to the theater after a successful run in August, this acclaimed play will garner lots and lots of interest, so grab tickets ASAP. Through Oct. 30 at 8 p.m. Friday, 3 p.m. and 8 p.m. Saturday and 2 p.m. Sunday at the Woolly Mammoth Theatre Co., 641 D St. NW. Tickets are $20-$74. 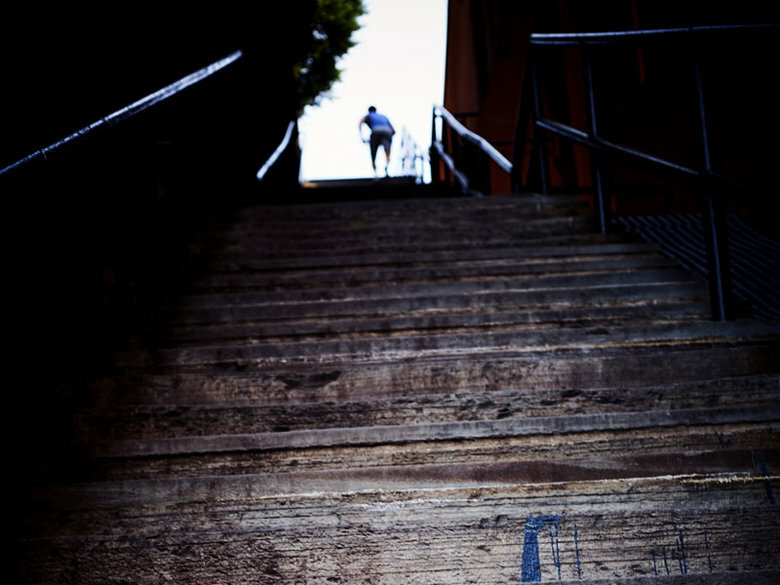 Visit Georgetown’s scariest spots including cemeteries and the Exorcist Steps (above) on the Spirits of Georgetown Walking Tour. Turn Friday night into one full of thrills with Dumbarton House’s spooky Spirits of Georgetown Walking Tour. With over 200 years of history, Georgetown is chock full of creepy history, from ghost stories to witches, apparitions and paranormal activity. 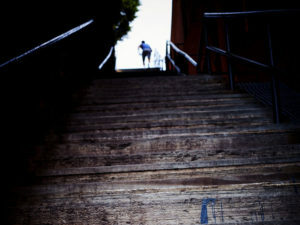 A professional tour guide will take you and companions through the neighborhood’s scariest spots, including cemeteries and the Exorcist Steps. Bring a flashlight and your courage. Oct. 28 from 6-8 p.m. in Georgetown. Meet at the corner of Q and 27th Streets NW. Tickets are $15 online or cash at the gate. Halloween on Screen focuses on old-school and campy horror films, starting Friday at 7 and 9 p.m. with Nosferatu: A Symphony of Horror, the 1922 classic starring Max Schreck as the vampire Count Orlok. 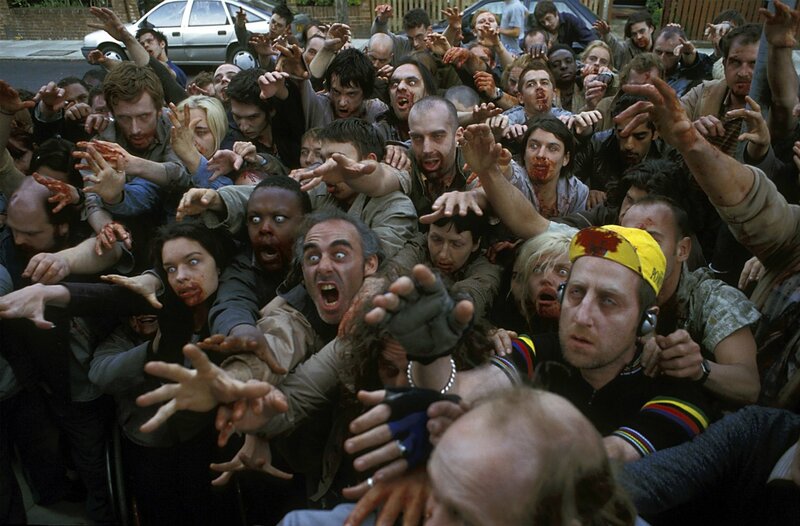 Also on the marquee throughout the Halloween weekend: The Thing and The Thing from Another World at 5 p.m. Saturday; Night of the Creeps at 10:30 p.m. Saturday; and the 2004 zombie rom-com Shaun of the Dead at 11:55 p.m. Sautrday. Oct. 28-30 at the AFI Silver, 8633 Colesville Road, Silver Spring. Tickets for screenings during this annual fright fest are $8-13. Time to get “spooktacular” at Tudor Place, an elegant house and garden set in a bucolic area of Georgetown. Trick-or-Treat at Tudor Place will feature plenty of costumes, pumpkin-decorating, face painting and outdoor games. Families will also love meandering through the North Garden’s paths to find hidden treats! Oct. 29 from 10 a.m.-noon at Tudor Place, 1644 31st St. NW. Tickets are $7 for child members, $10 for non-child members and $5 for accompanying adults. 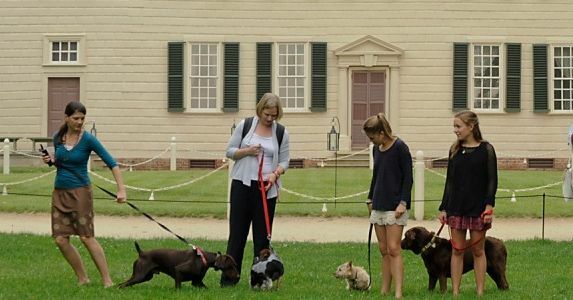 Take your dog to Mount Vernon for a 1.25-mile tour and learn about George Washington’s dogs. Do you and your pup need to stretch your legs on Saturday morning? Visit the Mount Vernon for the All the President’s Pups Walking Tour, holding its final installment this weekend. The 1.25-mile tour shows how George Washington’s dogs lived on the estate, as well as how dogs live on the land today and details Washington’s love for canines. You’ll see five historic spots on the property and get some great exercise, too. Oct. 29 at 10 a.m. at George Washington’s Mount Vernon, 3200 Mount Vernon Memorial Highway, Mount Vernon, Va. Tickets are $7 in addition to a general admission ticket. The National Museum of American History’s Food History Festival cooking demonstrations, lectures and more on Saturday. 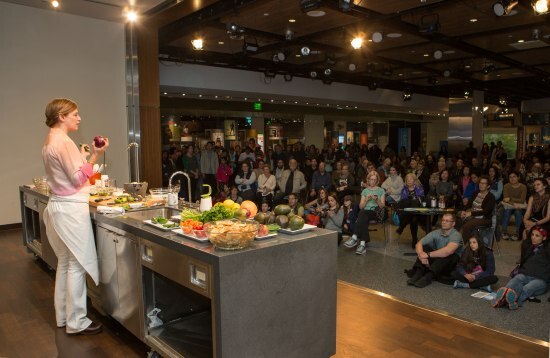 The Smithsonian has a full plate this weekend for its Smithsonian Food History Weekend, with cooking demonstrations, lectures, dinners and a sold-out history of American brewing after-hours event. Roundtable discussions at the National Museum of American History on Friday are followed by book signings and a happy hour. 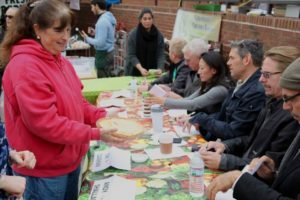 On Saturday, there are no samples, but there’s plenty to learn from chefs and historians, as well as opportunities to see collections and objects that rarely go on display during the Smithsonian Food History Festival. A full schedule of the weekend’s events can be found online. Oct. 28 and 29 from 10 a.m.-5:30 p.m. at the National Museum of American History, 14th Street and Constitution Avenue NW. Admission is FREE! If you haven’t gotten around to going apple picking this fall — or you did and can’t get enough — stop by the Adams Morgan Apple Festival on Saturday. The event, now in its second year, features a variety of heirloom apples from Licking Creek Bend Farm in Needmore, Pa., as well as an apple pie contest judged by local celebrities, including NBC 4’s Tom Sherwood. Proceeds benefit the D.C. Arts Center. Oct. 29 from 10:30 a.m.-1 p.m. SunTrust Plaza, 1800 Columbia Road NW. Admission is Free! The National Museum of the American Indian is holding its Day of the Dead Festival this weekend. The National Museum of the American Indian is holding its Day of the Dead Festival this weekend, featuring fun events for families and visitors of all ages. 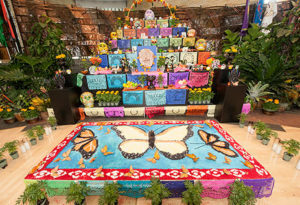 A number of the activities will be hands-on, including dance workshops, papier mache creations with artist Rubén Guzmán Campos and 3-D printing of Día de los Muertos imagery. Performances include a cultural dance presentation by Grupo Los Tecuanes at noon both days and a concert by alternative Mexican folk band Las Cafeteras, who fuse the funky sounds of Son Jarocho and Cumbia, at 3:30 p.m. Sunday. Oct. 29 and 30 from 10:30 a.m.-5 p.m. at the National Museum of the American Indian, Fourth Street and Independence Avenue NW. Admission is FREE! Fall Frolic is Glen Echo Park’s annual Halloween-themed family event. Visitors of all are invited to the park to explore the arts through hands-on crafts like pumpkin decorating ($2 per pumpkin), face painting, trick-or-treat bag decorating, Halloween activities, trick-or-treating and visiting open studios. The day ends with a costume parade through the park at 3:30 p.m.
Oct. 29 from 1-4 p.m. at Glen Echo Park, 7300 MacArthur Blvd., Glen Echo, Md. Admission is FREE! 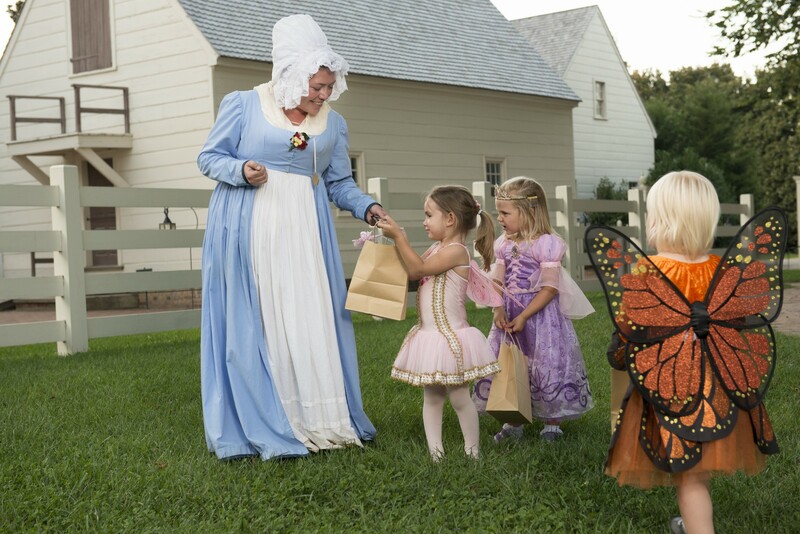 Take the kids trick-or-treating at Mount Vernon on Saturday. Mount Vernon opens its doors for the first time for trick-or-treating. Join the costumed cast of interpreters for a special opportunity to trick-or-treat in the historic area. A special scavenger hunt is available for more adventurous visitors. 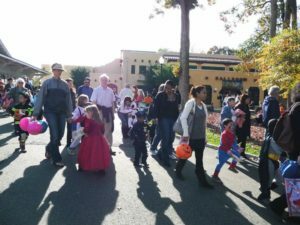 All trick-or-treaters are invited to join in the children’s costume parade around the Mansion at 6 p.m. Prizes will be awarded for the best “George” and “Martha” costumes. 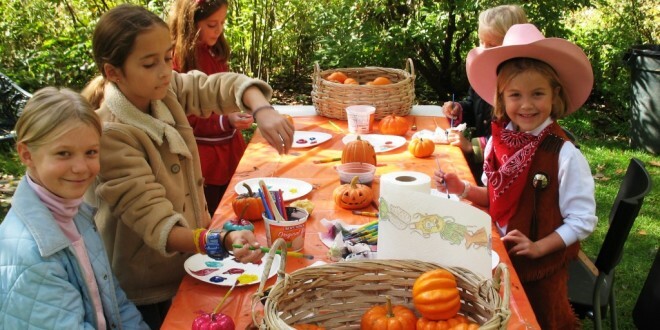 Participate in a Halloween craft activity in the greenhouse. Special trade demonstrations, like 18th-century wool spinning and laundry washing, will take place in the historic area. Listen to Halloween-themed stories in the straw bale amphitheater, enjoy colonial games and dancing demonstrations and take a wagon ride. The Mansion and Donald W. Reynolds Museum will not be open for this event. Oct. 29 and 31 from 3:30-6:30 p.m. at George Washington’s Mount Vernon, 3200 Mount Vernon Memorial Highway, Mount Vernon, Va. Tickets are $10 for adults and $5 for children. Doors open at 3:30 p.m. and close at 6 p.m. The Marine Corps Marathon holds its 41st running with a scenic course that begins between the Pentagon and the Arlington Cemetery, winds through Rosslyn and Georgetown, encounters the monuments on the National Mall and concludes at the Marine Corps War Memorial. 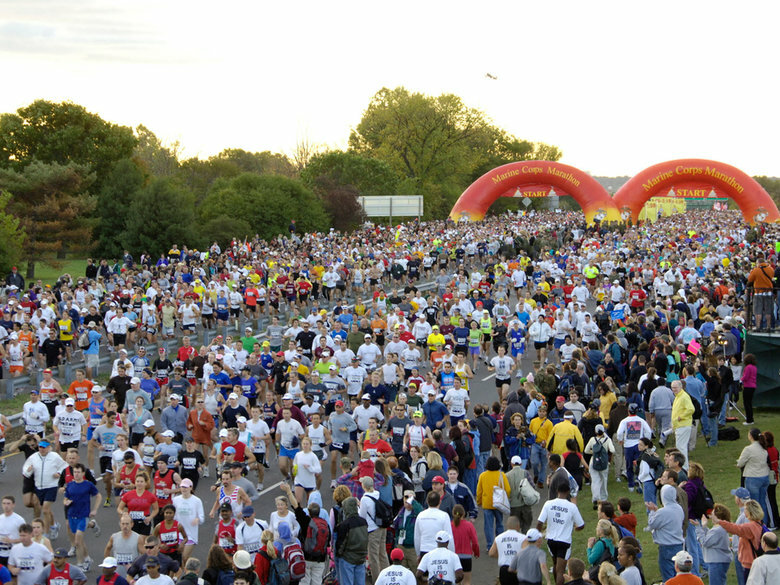 Runners will be graced with music throughout the course. Spectators are welcome as well. 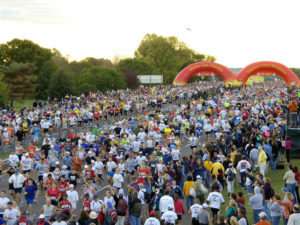 For locals, the race will have an impact – check out the road closures for more details. There will be a Finish Festival in Rosslyn from 8 a.m.-4 p.m. with food, a beer garden, music by the Quantico Rock Band and The American Bombshells, giveaways and more. Oct 30 from 7:40 a.m.-3:10 p.m. from Route 110 halfway between the Pentagon and Arlington National Cemetery to the Marine Corps War Memorial. Spectators may watch along the course for FREE!